This I²C-bus controlled 16-bit LED driver chip is for PCA9622DR by NXP. The PWM controller adjusts the brightness of LEDs. 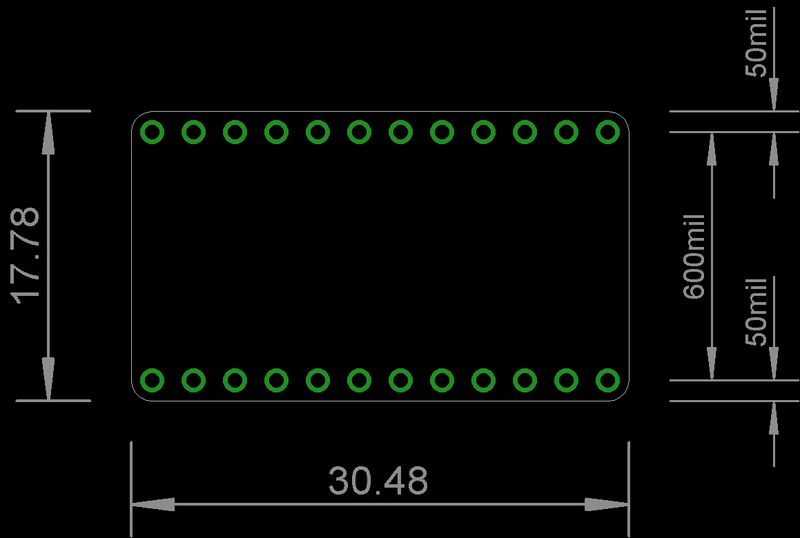 The on-board 16 LEDs will blink smoothly just by connecting it to I²C-bus and issuing a command. LEDs are arranged in an evenly spaced 4x4 grid. For more controlling method, please refer to product page or PCA9622DR Datasheet. 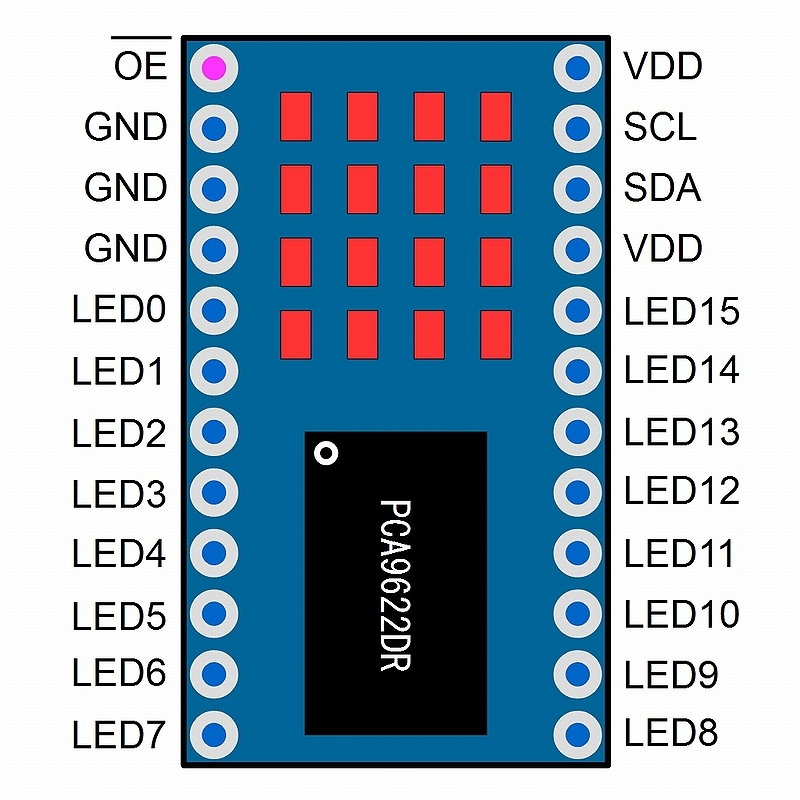 Please purchase the pin header separately and solder them depending on each use. Although PCA9622DR has an output enable pin (OE), LED port is fixed to output mode because it is connected to GND at default. If you cut jumper (SJ8) on back, OE pin will come into effect and you will be able to control it by external devices. Pull-up resistor is not included. If you want to add it, please solder chip resistor (size 1608) on R17, R18 on board. Default address is setup to 0×E0 (1110 000X) by solder jumper (SJ7 ~SJ1). You can change bottom side of I2C address easily by processing solder jumper (SJ3, SJ2, SJ1) on back of board.If you want to change address of upper side, you will need to process solder jumper (SJ7, SJ6) on surface and solder jumper (SJ5, SJ4) on back of board. To do this, first you will have to cut the pattern and then connect wire to VDD (1) or GND (0).